If you have dry, prone to breakage locks, this deep conditioning hot oil treatment will literally save your hair! It’s made entirely out of all natural oils that will deeply hydrate and restore hair back to its original health and shine. 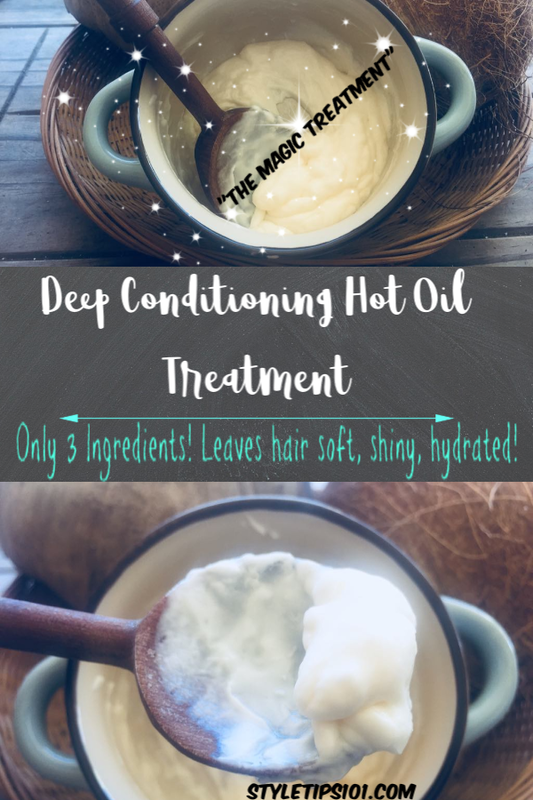 We like to use this deep conditioning hot oil treatment 2-3 times a week, but you can use it as often as you like! Of course, the more you use it, the better the results! 15-20 drops tea tree oil, lavender oil, or any other essential oil of your choice! 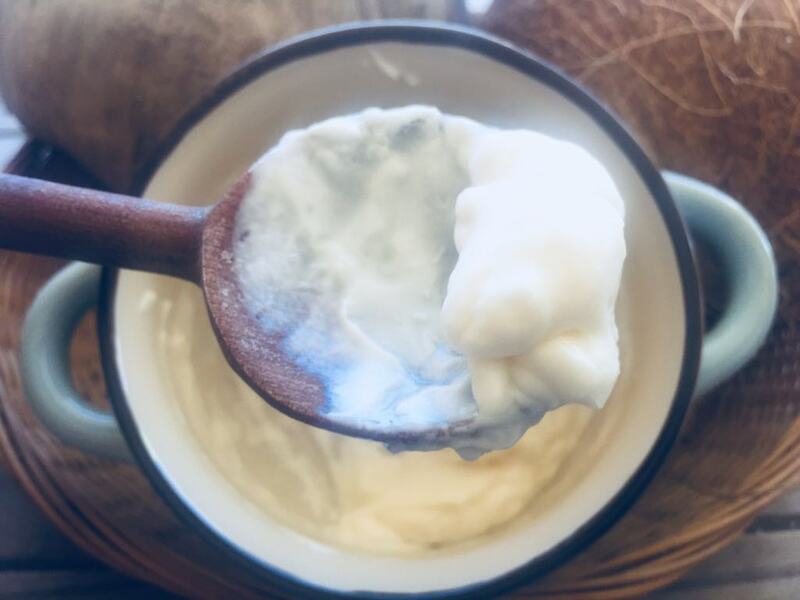 If your coconut oil is solid, soften it up in the microwave for a few seconds. It doesn’t have to be completely liquid, but it should be easily stirred. 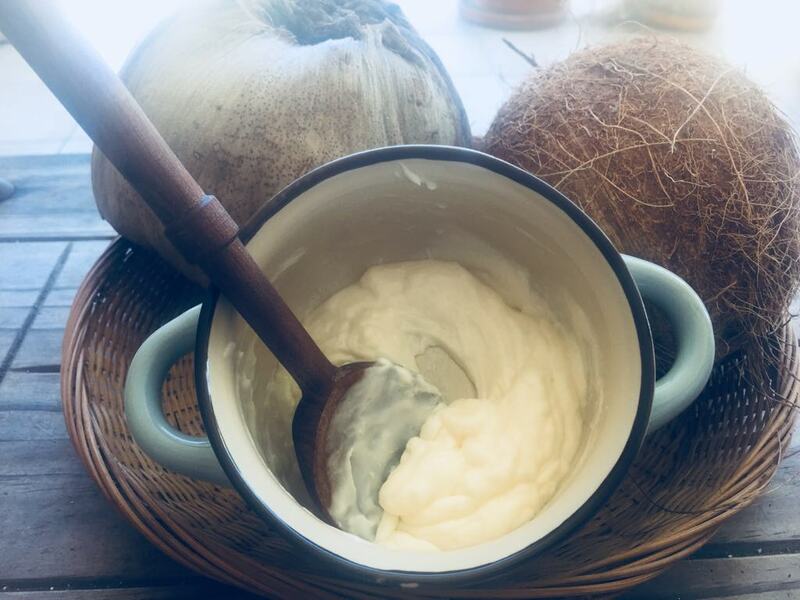 Mix coconut oil with jojoba oil and essential oil of your choice. You can also use a combination of other oils such as grapeseed oil and extra virgin olive oil, or even argan oil, but jojoba and coconut oil are far less pricey and work just as well! Apply the mixture to damp hair and cover hair with a warm towel straight out of the dryer. Alternatively, you can also cover your hair with a shower cap and blast it with your blow dryer for a few minutes. Leave on for 15-20 minutes and wash out. Deeply condition and hydrate hair. Strengthen hair and encourage growth.